Frisco, TX, (July 28, 2014) – The Dallas Mavericks Dance Team has announced the 2014-15 roster, which includes a record five former Texas Legends dancers. Amy B. and Kass A. were both members of the 2012-13 Legends Dance Team and will be entering their second season as Mavericks dancers. Jamie Lynn E., Jovann W. and Kelli Q. finished the 2013-14 season as Legends Dancers prior to entering training camp and being chosen for the 2014-15 Mavericks Dance Team. The Texas Legends Dance Team, directed by Jen Contreras and Next Step Dance, has had eight call-ups in the past two seasons alone to the Dallas Cowboys, Dallas Stars and Mavericks dance teams. The girls were put through two rounds of auditions before being accepted into Training Camp where the final cuts were made last night for next season’s team. Lots of @RidersBaseball, a DIVE-In movie, and Monty Python! What else could you ask for this weekend in Frisco! Have you joined us for the Frisco Podcast? Listen here. Frisco RoughRiders vs. San Antonio Missions: 7:05pm in Dr Pepper Ballpark. Frisco FARMER’S MARKET: From 8am to sell-out, come and buy a bounty of fresh fruits and vegetables for those who appreciate the “buy fresh, buy local” idea. Seasonal fruits create a spectacular palette! The freshest vegetables in North Dallas will excite your culinary talents! Also available are pasture fed beef, pork, lamb, and the freshest eggs you’ll find. Buy pasta, seafood, cheesecake, muffins, gourmet items, and honey… all fresh! Frisco RoughRiders vs. San Antonio Missions: 6:05pm in Dr Pepper Ballpark. Frisco RoughRiders vs. Midland Rockhounds: 7:05pm in Dr Pepper Ballpark. Another month closer to the Texas League playoffs, and the Frisco RoughRiders have two more key players receive Minor League Player of the Month Awards. Although the RoughRiders’ parent club, the Texas Rangers, has struggled mightily finding the right mix of pitching during this injury-plagued season, Frisco has had no shortage of quality arms. The Rangers named right-handed pitcher Alec Asher, and lefty-reliever Alex Claudio as their June Minor League pitcher and reliever of the month. Asher, a 22-year-old native of Lakeland, Florida, had a June for the ages. A former fourth round draft choice in 2012, Asher was 2-2 with a 1.93 ERA with 26 strikeouts and just two walks in June. This is the second award for Asher, who was also named the Minor League Pitcher of the Month in May of 2013 while with the Single-A Hickory Crawdads. Alex Claudio, a lefty-reliever known for his unique delivery and devastating changeup, also earns the second award of his minor league career. Claudio, June’s Reliever of the Month, took home the prestigious Minor League Reliever of the Year last season. Claudio, a 22-year-old native of Puerto Rico, has made the seamless transition from High-A Myrtle Beach to Double-A Frisco. Although he has only been with the team for about three weeks, he has impressed, going 2-0 with a blink-and-you’ll-miss-it 0.48 ERA. All told, he’s struck out 21 batters over 18 2/3 innings pitched while walking just four. Both Geovany Soto and Jim Adduci have looked very good over their combined 12 games of rehabilitation at Double-A Frisco. Soto was called up to the big league roster last week, and Adduci is has just recently been promoted. Adduci originally landed on the disabled list with a broken finger. He re-injured the finger during a rehab stint with Triple-A Round Rock. Primarily an outfielder, Adduci can play all over the diamond and likely will see time at first base once he is added to the Rangers roster. Over six games in Double-A, Adduci was batting .318 with one home run and six RBI. Here’s hoping Adduci’s activation will provide a spark to the Texas Rangers’ offense just like Jake Smolinski’s did a few weeks ago. The ‘Riders are in the midst of a three game set in Midland with the RockHounds. They return home for a seven game home stand, starting with the San Antonio Missions this Thursday at the Dr. Pepper Ballpark. During the last weeks of summer break at the Frisco Discovery Center, kids can participate in a “Frozen Princess Theatre Camp” with Plano Children’s Theatre, a Star Wars LEGO® camp with Bricks 4 Kidz, a Jr. Editor’s Writing Workshop with Tutor Doctor, and an intro to dance camp with Sheena’s Dance Academy, plus more! See the webpage for descriptions and contact individual camp hosts for details. Pricing and ages vary. Aug 2-30 – “Vanished” Art Exhibition – Frisco Art Gallery, Reception Gallery. August 2, 9, 16, 23, and 30 – Zumba Classes with Brian G.
Every Saturday in August at 10AM, certified Zumba instructor, Brian Grunkowski, will show you how to get down and sweat, all while having fun with this popular new form of exercise. Each class lasts an hour and costs $5 per person. Kids are welcome if they are accompanied by an adult. If you are ready to register or have additional questions, see the contact form on the webpage. Rhea Lana’s of Frisco is back in the Special Events Center for a week’s worth of great deals and quality finds in children’s clothing, toys, and equipment. Volunteers and consignors receive perks like special sales and higher percentages of earnings on items consigned. For more information, email Stacey@rhealana.com , call 817-319-6612, or see the website for Rhea Lana’s Frisco. Battle of the Badges, FC Dallas, a Night of Improv, and plenty of RoughRiders Baseball! We can’t believe it, but it’s time to start thinking about back-to-school immunizations, too… check out all your event options this week in Frisco! FC Dallas vs. New England Revolution in Toyota Stadium at 8pm. Frisco Heritage Village Open House – From 1 to 4pm, the Heritage Association of Frisco opes the Heritage Village structures for tours, 6455 Page Street. Vaccination Clinics to Offer Back-to-School Immunizations: Frisco ISD will host immunization clinics this summer to assist new and returning students who may be missing required vaccines for the 2014-2015 school year. On July 21 through 24 between 9 a.m. and 2 p.m. daily at the Frisco ISD Career and Technical Education Center, 9889 Wade Boulevard, Frisco, TX, 75035. FC Dallas vs. Aston Villa in Toyota Stadium at 8pm. 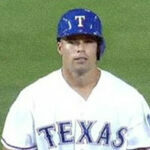 Former ‘Rider, Jake Smolinski is batting a cool .500 with the Texas Rangers. Have you ever visited your favorite restaurant, but in a different city? The food is consistently great, but you don’t recognize any of the wait staff. This is akin to going to a Frisco RoughRiders game this summer. The team keeps on winning, but they do so with a steady influx of new talent, as player after player continue to get promoted. Joey Gallo: Future at First? It was recently announced that Joey Gallo, he of the prodigious power equaled only by the buzz surrounding his Double-A promotion, has been shifted across the diamond—from his native hot corner to first base. Penciled in to start Wednesday’s game against the Corpus Christi Hooks, this will be Gallo’s first professional tour-of-duty at first base. Joey Gallo has been the very definition of top-flight prospect thus far in 2014, as he has moved quickly up the rungs of the minor league ladder. After starting the season at High-A Myrtle Beach, Gallo was promoted to the Frisco RoughRiders a few weeks ago and the 6’5” native of Las Vegas hasn’t missed a beat. In his first game at Double-A, he hit a towering home run for a walk-off win. With the Texas Rangers’ struggles, especially at first base, you have to wonder if Joey Gallo may see action with the parent club in September. Strangers things have happened, and it would be fun to get a glimpse of the Rangers’ future. Joey Gallo is certainly making a name for himself every step of the way via his near-legendary ascent through the bush leagues. However, he may have to play second fiddle to former teammate Jake Smolinski when it comes to quick promotion. Smolinkski, a 25-year-old native of Rockford, Illinois, was promoted from Double-A Frisco last week, and played all of eight games at Triple-A Round Rock before receiving the call all players dream—the one that says pack your bags, you’re headed to The Show. It’s no secret that the Texas Rangers have been decimated by injuries this season. Mired in a current skid that has seen them lose 17 games in 20 chances, there is no better time to call up prospects than now. However, there are no free passes, and Smolinski certainly earned the promotion as he put together a triple-slash line of .267/.349/.459 with 10 HRs and 41 RBI during his time at Frisco and Round Rock. The Frisco RoughRiders are at home at Dr. Pepper Ballpark for a four-game stand against the Corpus Christi Hooks starting tonight. First pitch is scheduled for 7:05 PM and you can purchase your tickets here.